I think this is my most favourite course in Kiawah, maybe because I have always scored well here. It does have two very different 9's, with a linksy opening nine and a more traditional country layout coming back. 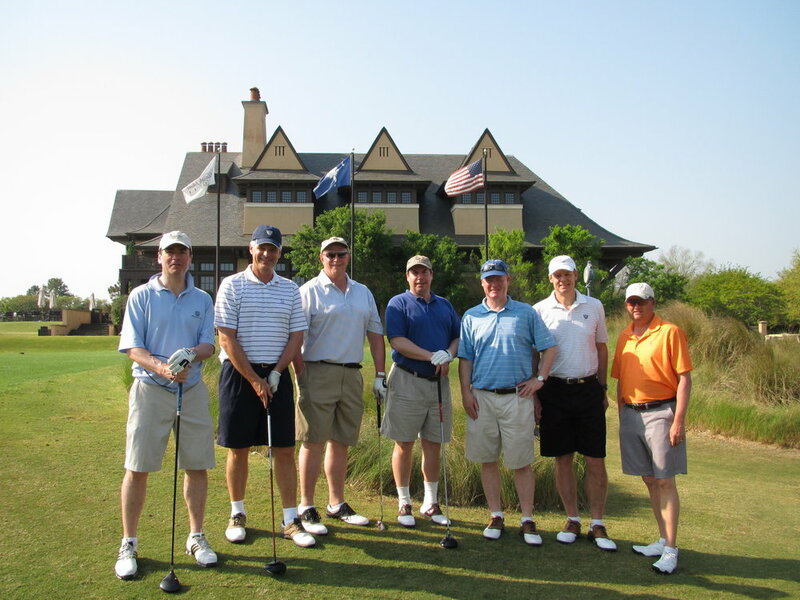 Here I am with a group of guys who played in the area with our host Bob B, a world famous hip surgeon who had a spectacular home on Kiawah. This picture is from 2011.